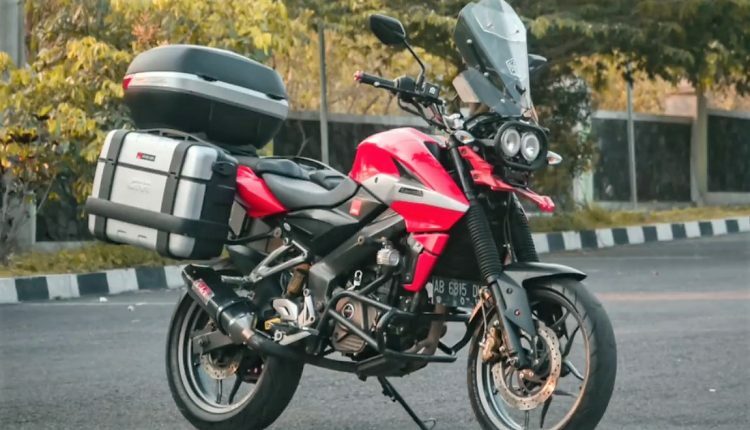 Andy Customs from Indonesia recently presented Bajaj Pulsar NS200 Adventure Edition, a tastefully modified motorcycle with not just looks, but even equipment that could help true fans to discover roads that are less traveled. The total cost of modification is INR 70,000 (direct conversion from the other currency). The modifiers are using stock suspension parts with custom raising kit, introducing a much higher ground clearance and even more aggressive seating position than the stock bike. The front headlight is swapped with twin round units, neatly covered with a protector and featuring huge windshield on top. The face now comes with an extended faux fender too. 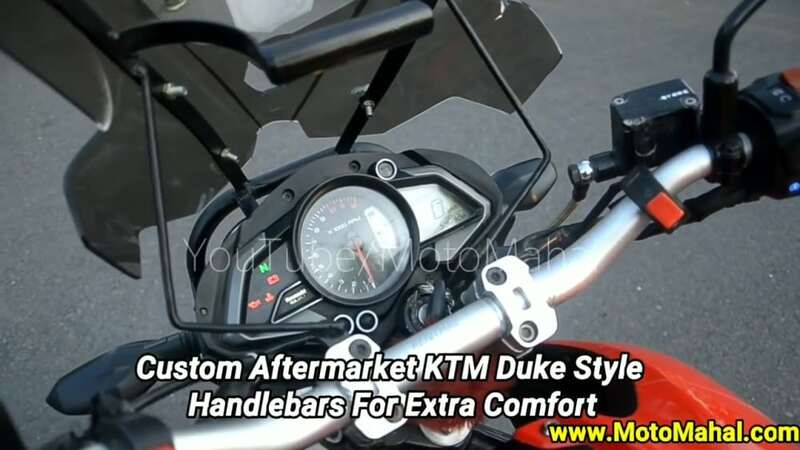 The motorcycle is seen in the Red shade and Andy Customs paid high attention to detail by using color-coded handlebar end weights on the same. The raised bar is also more comfort-oriented in comparison to the stock unit. 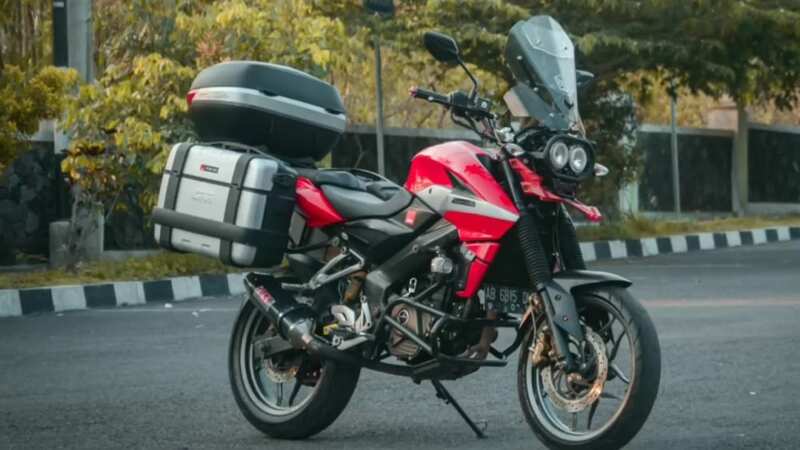 They are using metal engine protector and a custom designed radiator protector for aggressive designing and practical use of the Pulsar NS200 Adventure Edition on all kinds of surfaces. The use of a custom exhaust system could help them utilize the power in an even effective manner. The alloy wheel design and disc brakes are kept standard for higher levels of stability. The use of silver highlight near the fuel tank was a smart move, breaking the pattern of Red shade that was flowing continuously on the motorcycle. 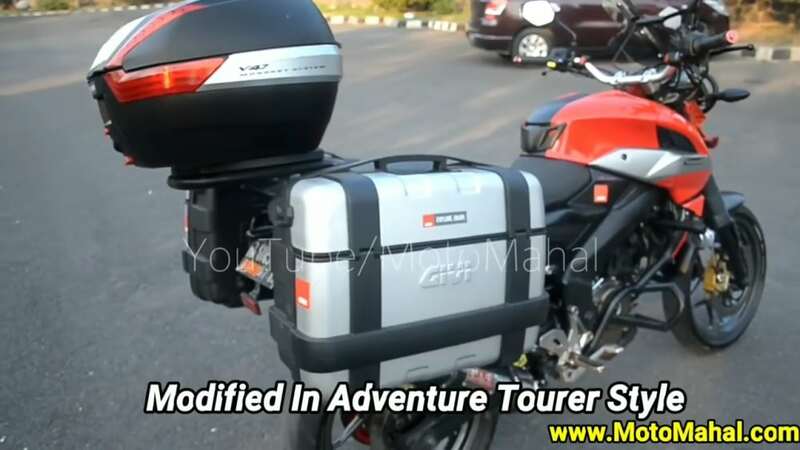 Pulsar NS200 Adventure Edition comes with mounts for three storage boxes but misses on a pillion backrest, seen on most bikes with a fixed rear box. The instrument console also remains the same as the stock version. 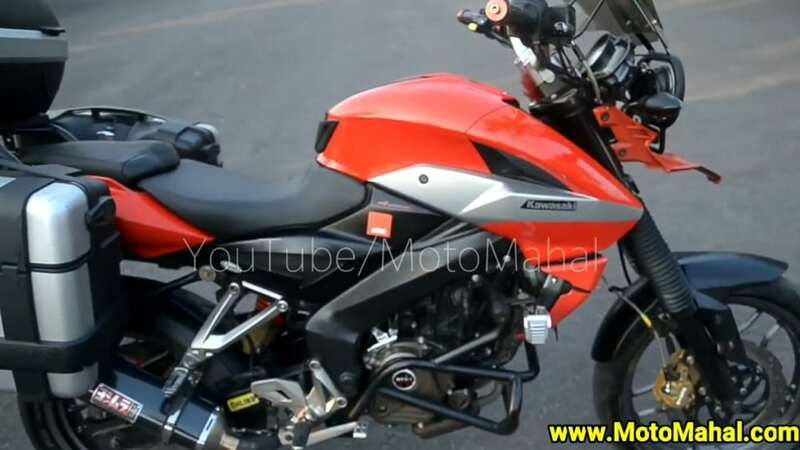 Pulsar NS200 is powered by a 199.5cc, liquid cooled engine, producing 23.17 BHP and 18.3 Nm of torque. 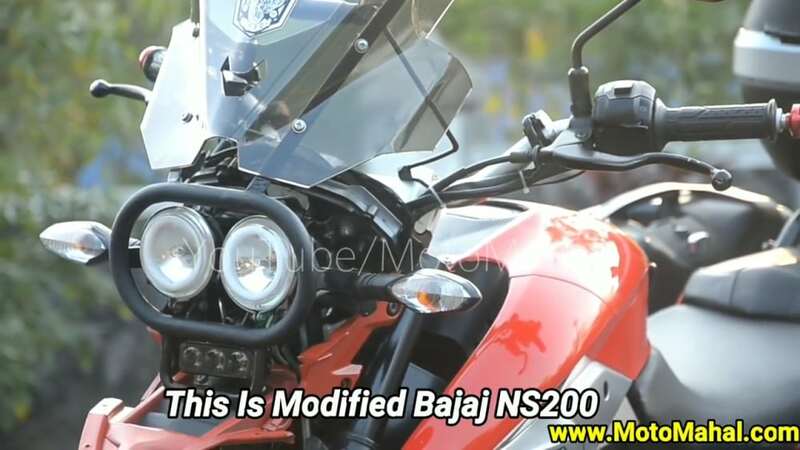 The modification makes the NS200 ADV a direct rival to adventure bikes with less than quarter-liter displacement.